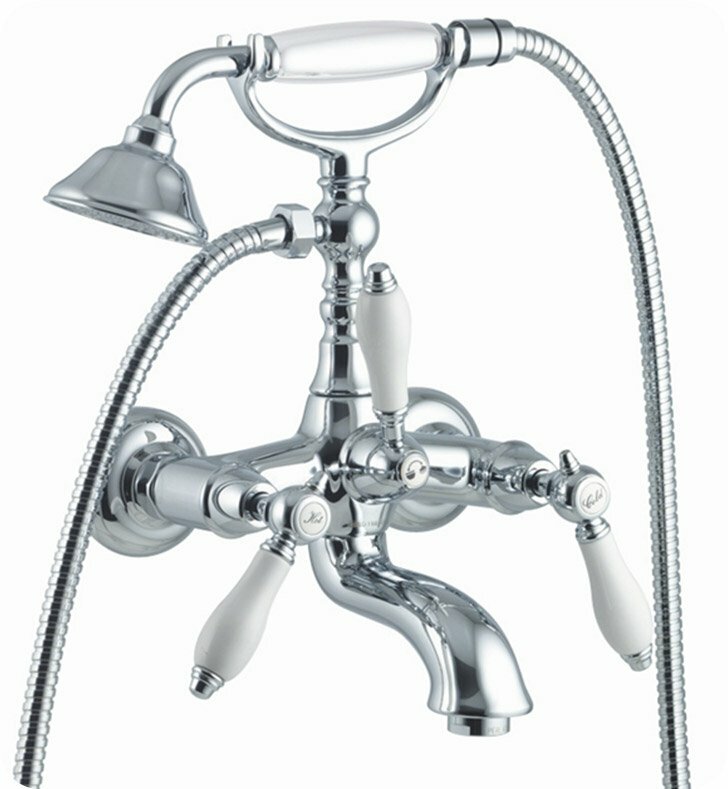 Start with this decorative 2 hole, double handle (lever handle style) clawfoot tub filler. Wall Mount and available in polished chrome, brushed nickel, old bronze, old copper, or gold, this brass clawfoot tub filler is perfect for a classic & traditional bathroom. Designed and made by Fima Carlo Frattini in Italy. From the Fima Carlo Frattini Herend collection.